Thanksgiving is my favorite holidays. I look forward gathering with friends and family to enjoy all my favorite holiday dishes. If I'm not hosting a Thanksgiving dinner at my home, than I'm always eager to help out wherever were invited. If you plan on hosting Thanksgiving at your house, it can be an exciting and scary experience all at the same time. Well, it doesn't have to be. If you just take some time and plan ahead your, Thanksgiving dinner will go off without a hitch. This isn't the time to put on your cape and try to be superwoman, because it will just end in disaster. Take it from me, I've been there and done that on numerous occasions. There's nothing worse than the hostess sitting down at the dinner table a frazzled mess. So, with the help of Butterball and Mommy's Kitchen you can make sure your holiday is as picture perfect as possible. I'm excited to say that this is my 4th year working together with Butterball. Not only do they have the best turkeys, but they also have so many useful resources. 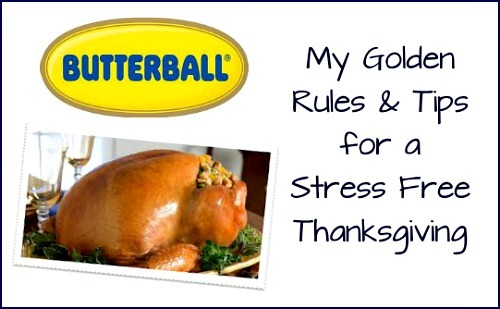 This year Butterball has asked me to share my golden rules for Thanksgiving as well as the opportunity to give away (2) $20 turkey gift checks. I know these checks will come in handy for two very lucky families. About month before Thanksgiving compile a guest list. Find out who's coming over for dinner and if anyone has any food allergies or special requests. Have guests help out by contributing a dish or dessert (potluck style). Make sure to follow up a couple weeks in advance and find out what every one's bringing. It's also helpful to supply everyone with a copy of the list. That way they can bring extra or missing dishes if the choose to. I plan my Thanksgiving Menu the first week of November. 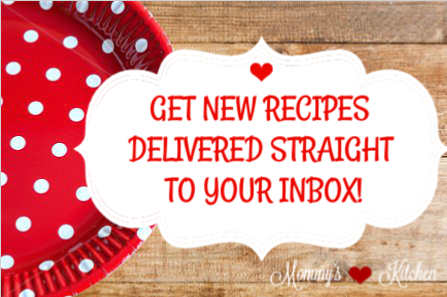 This way I have plenty of time to get my recipes together and compile a grocery list. I like to shop a month in advance for all my items. If you wait too long the stores will run out of everything. Purchase your bird at least 3 -4 weeks before the big day. 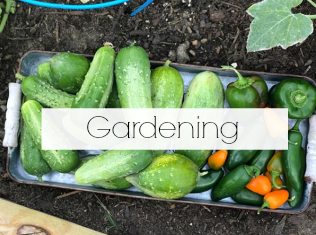 If you wait too long it can be slim pickins. If you're ordering a fresh bird than do that 2-3 weeks in advance. Prepare and assemble any dishes ahead of time. Pie crust and baked goods can be prepared ahead of time and placed in the freezer. I prepare, assemble and freeze my cornbread stuffing, hash brown casserole, broccoli rice casserole and dinner rolls about a week in advance. Once assembled I freeze them unbaked. I also use as many disposable pans that I can. This makes freezing and clean up a snap. The week before Thanksgiving make sure all your table linens are laundered and ready to go. Pumpkin, pecan, and pudding pies can be baked the night before. This will leave plenty of time for the pies to set up. A big time saver is setting the table the night before. This will be one less thing to do on the big day. Make sure to have some fun activities to keep the kids occupied. If not they'll just be under foot the whole time. Pull out some of their favorite movies and board games. Have some simple activities available (coloring pages, crafts, games, puzzles, etc). Make sure to have a few light appetizers set out for your guests. Most folks come on a empty stomach in anticipation for the big meal. Having a few finger foods and dips will help tide them over as they wait for dinner. Plus I'm sure the men will appreciate a few snacks as they watch the football game. Very important!!! Ask for help and don't try to take on everything by yourself. If you do you will just be disappointed. Usually as guests start to arrive you're still in the kitchen cooking and adding finishing touches. It's likely guests will start gravitating towards the kitchen. Most people hate just standing around. I know I do, so ask for help. People are usually more than happy to jump right in and help. And last remember what Thanksgiving is really all about. 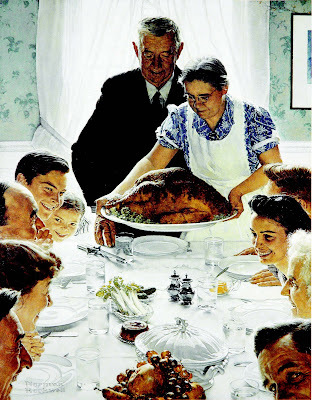 It's not about the turkey, the pumpkin pie or even Granny's dressing, but who is gathered around the table. Happiness, health, friends and family is what Thanksgiving is really all about. Well, those are my tips for a stress free Thanksgiving. Hopefully they will help out a few people. Cooking a turkey for the first, second or even third time still can be bit intimidating. So don't forget that Butterball has their Turkey Talk Line open. No question is too tough for these turkey talkers, and they're always ready and excited to tackle any challenge you throw at them. The Turkey Talk Line is open annually November through December and open to Us and & Canadian resident. Bilingual (English/Spanish) assistance is also available. 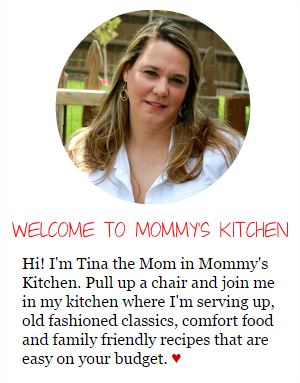 If you need another resource to help you with all of your cooking needs? Than Butterball has an app for that! 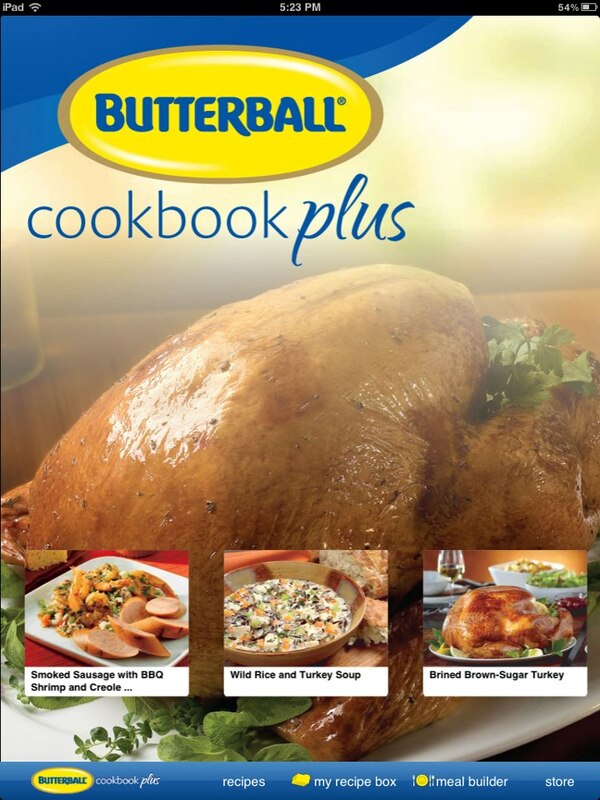 Be sure to check out the new Butterball Cookbook Plus™ app for recipe ideas, step-by-step cooking instructions and much more. Butterball Turkey Giveaway is not CLOSED! The winners of the Turkey Checks are....... Danielle from Mostly Food and Crafts and Rhonda from Cobblestone Quilting. Leave a comment on this post letting me know one of your golden rules for a picture-perfect Thanksgiving. This giveaway begins now and ends on November 13th at 11:59 CST. For anonymous entries please make sure to include your contact information (email address) in your comment. This way I can contact you in the event that you are a winner. Winners will have only 24 hours to reply or a new winner will be chosen. I usually give 48 hours, but I want to make sure to get the turkey checks into the mail. Disclosure: Butterball provided me with a $20 turkey gift check and a $10 iTunes gift card to try out the Butterball Cookbook Plus App. They also provided (2) additional turkey checks to use in a reader giveaway. I want to thank Butterball for sponsoring this giveaway. I always use a Reynold's turkey size bag when cooking my turkey. It keeps the meat nice and juicy! My #1 rule for a picture perfect Thanksgiving is to NOT have any expectations. It is what it is! You've given some really good ideas for a calm and smooth Thanksgiving dinner. Honestly, my best idea is a big glass of white wine! Be flexible. My kids are picky so I know I have to make extra items that they can eat. Everyone in my family has always contributed to our Thanksgiving meal, which makes it easier on everyone. The important thing though is to just have a good time with family! Remember it is about family being together! Food and family make for wonderful memories... and don't burn the rolls! I start with my list the week before thanksgiving make sure I have the ingredients I need. I write down the things I need to prepare/cook and plan ahead of time. Like your rule #2, potluck-style works for our family, and takes the pressure off the host & hostess. My number one rule is make sure you enjoy your family! Worrying doesn't do any good. Relax and enjoy, if someone offers to help, don't hesitate to say yes! When my Grandchildren were smaller I would have thier table covered in a plan paper tablecloth and have crayons laying on it to keep them busy coloring. They loved it, and it helped to keep little ones out of the busy kitchen. I send off my husband with the boys while I cook. :) They can play and get their energy out and I don't have to worry about little boys under my feet. Include the kiddos in meal planning and prep. It keeps them busy and they learn lots. They can also be a ton of help. If you are not helping in the kitchen...stay out! I've realized I dont have to cook every side item myself & exhaust myself. So, last yr. I bought sides at a restaurant & they were fantastic & I got some free time to enjoy w/family. I always use tried and true favorite recipes for Thanksgiving. Its not the time to try new recipes or get fancy because if a recipe doesn't turn out well it could ruin your family's meal. My hubs fries the turkey! a lot less stress for me! Since there is just the 2 of us (the kids go to their in-laws) we do it really simple. Turkey, cranberry salad, waldorf salad and pumpkin pie. Beer and chips while we watch football. We all share in bringing our favorite dishes so it's not overwhelming on any one person. AND remember that the holiday is for being THANKFUL for our blessings. I always prepare dessert a couple of days in advance and I peel the tators and sweet tators the night before. I HATE peeling tators!! My golden rule Is to have a sense of humor and relax in case anything does't go as planned. I learned this the first year I prepared Thanksgiving dinner and could't find the giblet bag in the turkey. I was convinced it wasn't there, baked the bird, and to the amusement of my guests found it while carving. Funny now but back then I was so upset. i let my husband do the cooking, the kids (6 &9) help clean the house, and I am the grocery store runner...plus everyone that is coming brings a dish to share. Hi - My Thanksgiving rule -- enjoy the company. The good food is a bonus! I don't try to do it all myself.. usually everyone wants to chip in and help in some way. This takes some of the stress off me. Plan ahead! I also keep a "diary" of meals, parties and guest/family meals with menus and shopping lists. I can look back at other years and see what we had, find a missing recipe, etc. I hope it will make a nice thing to leave my daughters. This year will be less stressful because my older daughter purchased a large home, so we are going there...the mantle has been passed! My MIL makes the best cornbread dressing. Her secret? She cooks a fat hen a week or so before Thanksgiving. She saves the drippings/broth and freezes them. Then when she makes her dressing, she thaws the chicken fat/broth and uses it in the dressing YUM!!! My golden rule is to always have extra chairs. Usually we extend our Thanksgiving dinner offer to our friends we know don't have family and if there show up there is always a seat for them. My golden rule is keep the wine flowing! My golden rule is to not stress about things. As long as you have enough food to feed everyone, just enjoy yourself. Who cares if the gravy doesn't turn out, or if someone forgot the whipped topping for the pumpkin pie. my idea for stress free and enjoyable Thanksgiving is let everyone participate...Our family of 7, get together with both sister in laws and nieces and nephew and everyone has prepared at least one dish usually more....there's food, food and more food. we visit, we eat we laugh and enjoy each other. Then, when all is done and we are ready to part everyone gets to take home "leftovers". The way I have a less stressful Thanksgiving is to divide up the dishes so it isn't too overwhelming for one person. The perfect Thanksgiving is spending time with loved ones around a wonderful meal. We do it potluck style and everyone helps out! Thanks for the opportunity to win this wonderful prize! I make my sides the day before and then bake them the day of. Be thankful for any help offered; be a gracious hostess. I plan ahead and just keep in mind that cooking a turkey is just like cooking a large chicken. I am not intimidated by that. I also try to prep/cook as much as possible ahead of time and place myself on a schedule to ensure that it all gets done at a reasonable pace. Great giveaway! my idea for a picture perfect Thanksgiving is letting someone else do the cooking! Then I offer to bring something, dessert, etc. Do as much as possible the day before --- bake the cornbread for the dressing, saute the onions and celery, make the deviled eggs, cranberry sauce, pies, cakes, etc. I get the Butterball ready the night before --- remove the giblets, rub butter, salt, and pepper onto the skin, and place it in a Reynolds bag and in the roaster pain in the refrigerator. The next morning, turn the oven on and the bird is ready to go in. My #1 rule: to use my crockpot as much as possible! 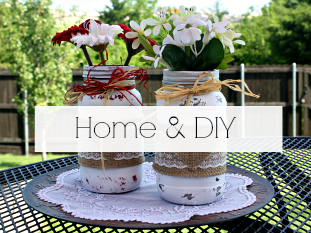 Less mess, hassle and work. My rule: The Thanksgiving meal is not the time to experiment with something new. If you want to try a new dish rather than all the traditional favorites, try the dish out at least once a month before. Always make the pies, cranberries and boil the eggs the day before....and just relax! The less pressure and expectation I put on myself, the better it turns out! I use my large Nesco roaster oven to cook the turkey. It is always so moist, and it frees up the oven for other things to bake. I love hosting thanksgiving at my home. I invite family & friends who don't have family to go to on thanksgiving. I also donate my time to a non profit group to help cook & serve thanksgiving, so my day is pretty busy let's just say. I try to prep everything the night before (cook pies, chop veggies for stuffing etc) I also use a Reynolds cooking bag to cook our turkey in, it's never failed us! Always a juicy perfect turkey! I always ask for help in the kitchen, I think thanksgiving is about bringing people you love together & celebrating a day of thanks. I always use disposable plates and forks. It's a lot less work, and nobody cares if it's paper, styrofoam, or china, as long as they get to the good stuff! THANKS for the give-away opportunity!!! And have a blessed Thanksgiving! I prep ahead like you and don't sweat the little stuff. I enjoy my company that's what I give thanks for. 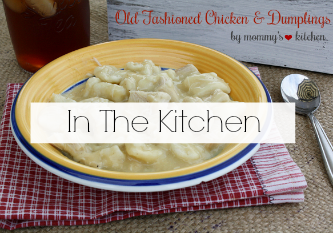 I make mashed potatoes and mac n cheese early and keep warm in crockpots. You can use an electric skillet to saute last minute veggies, too. Thanksgiving is also my favorite holiday. It gives me the opportunity to share with others the bounty I've been so richly blessed with. Every year we invite at least one person that does not have family in the area or for whatever reason can't get home for the holiday. There have been soldiers from the local army post, students fom the college and older folks without family sitting at my table on any given holiday. No matter how many problems we all seem to have, they melt away when we sit down at the table and give thanks for food and the people gathered there. We will be missing a dear one at this years table and welcoming a new little one. My golden rule is to start the meal prep early and utilize all the modern tools we are blessed with. I like cooking as much as I can in the two days before thanksgiving. That way, I really don't have that much to do on thanksgiving. I try to organize things in my fridge in the order that I would use them. That way I don't have the whipped cream out in front when I'm trying to find the sausage for the stuffing. Prepare as much food the day before that you can and always wash your dishes as you cook that way you can enjoy the meal and not have as much to do afterwares.Cut your celery,onion and other things you're going to put in your dressing up the day before to save on time. You can set the table a week in advance and cover it with a clean sheet to keep the dust off. My Mother-in-law taught me that one!!! 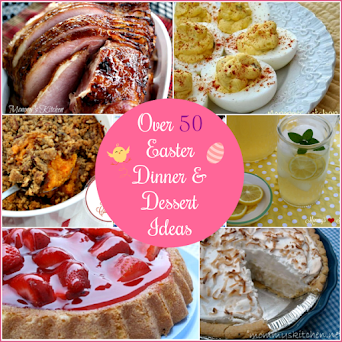 I like to prepare the menu a week in advance and keep the side dishes to a minimum (no more than three), there is always so much food and we all need to save room for dessert! I try to make everything from scratch, it is so rewarding to sit down at the holiday table with family and friends and enjoy a homemade meal together! Happy Thanksgiving All! My big stress reducer is to have several different veges of all colors since everyone is so picky. And a glass of wine! Get help from guest is my Golden Thanksgivng tip. I think the best way to have a stress free Thanksgiving is to have someone else make everything LOL!! But seriously just be happy you have food to eat and family to drive you nuts, lol! I make all my pies, stuffing, and cut everything up the night before. It saves me so much time on Thanksgiving Day. Thank you! Keep it simple! Everyone always enjoys the family favorites, which makes it easy on me because there's no extra planning involved. I don't have to stress about trying something new and I can enjoy more time with my family, which is what it's all about. Don't forget to say grace at your Thanksgiving dinner - after all, that's what we're doing - saying thanks for all that we are blessed with. I prepare as much ahead of time. One thing I learned a long time ago, is to set the table right after breakfast is over. I try to enjoy the food and family. We have the same dishes every Thanksgiving because they are all family comfort foods. They bring back memories and help keep traditions alive. Oh, and a glass or two of wine never hurts. Make sure to leave enough time for the turkey to un-thaw. Nothing worse than a partially frozen turkey when you need it in the oven already! Just remember it's not the food that's important...it's the fellowship that is! As so many haave already shared, i like to prep in advance and let others help! Also being thankful for the gathering of family, esp. my military children being home to share a meal with us, even if it's not ON the exact day (which also takes away some of the stress). I like to use slow cookers for anything that will work that way. They free up your oven and help keep the kitchen cool, a plus here in SC. Thank you for this opportunity. Besides making, and baking as much as possible prior to the day, my family uses electric roasters for the ButterBall Turkeys. We make 3 in all. One stuffed, one MOLE, one unstuffed with stuffing on side. We also ask for our families to lend their roasters to us so we have the oven available and roomy for other sides. Again Thanks and Happy Thanksgiving to all.:)! Planning is key but also keep it simple. Planning and staging when to make side dishes makes for less stress on the big day. My golden rule is planning ahead to make the holidays less stressful! If you have kids, let them help with the table setting! Always take a time out and walk away if needed! FAMILY!!! Unfortunately this year finances have hit our family so we wont be doing the big feast. But we are all meeting anyway so we can be together. To me holdays are about family. My golden rule for our Thanksgiving meal is to be thankful for what we have. I don't always have what I need to cook a traditional Thanksgiving Dinner. I do love cooking Thanksgiving Dinner but we may enjoy Spaghetti, salad and garlic bread, or what ever I can find in the pantry the week of Thanksgiving. Just being a family is all that matters. To bake my pies the day before. Spending time with family and having each family who comes, bring a side dish so I don't have to cook them all...just the turkey. My #1 rule for Thanksgiving is no stress. If it isn't perfect, no one notices but me. Being with family is so much more important. Don't forget to have Alka-Seltzer, tums, etc for those who overindulge! My best tip is don't wait until the last minute to cook everything! Bake a few days early and freeze until ready to bake. We always cook our turkeys in a brown bag ala Kid Kraddick's method. This gives us a moister turkey that isn't "steamed". My best tip is to relax. Everything doesn't have to be perfect and probably won't be, just enjoy your time with your family. You covered most of my rules. Keep it simple and do as much beforehand as you can! Well, hmm...A tip, huh? Okay...the simplest thing that comes to mind (that 'I' do) is....I use an oven cooking bag...AND...I make a 'browning agent' to smother the turkey in after getting the turkey settled in the bag. I also add some of the browning agent into the cavity of the turkey. I very much believe that the browning agent also adds to the flavor. I more often do that turkey conventionally (in the oven), however, I also do it exactly the same way on occasion that I cook the turkey in my microwave. I like to get my pies baked the night before and cut up all the celery and onions for my stuffing too. I ask everyone coming to bring a dish. That way I only have to focus on the bird and the potatoes. Start early; relax; do as much as you can beforehand. Following my grandmother's cook's teachings, much of our dinner is prepared two days in advance, the dressing is always better after having some time to mellow. Now that the boys are grown, they choose two new sides to prepare and bring along and I provide the basics of any good Bluegrass Thanksgiving. We order our ham well in advance and my husband makes his famous dips and cheese board the day before. Good simple food, setting the table the night before, and flexibility on eating times, all help for a very nice dinner. I always remember we are creating memories here and what sort of memory do I want to give all our guests? Then go from there! Happiness is contagious and I'm happy to just have everyone home! My golden rule is don't take this too seriously- try to enjoy the process and the food that you made and give thanks to those who have lots less than you. Perspective will help when things don't turn out perfectly- then they'll be just perfect any how! Let everyone help bring a dish. Don't be a super hero. Share the load. Thanks for the giveaway! I Make sure to make everyone's favotie dishes. My golden rule is easy.....Just remember to be very thankful for my family and not to forget how grateful we all should be and to just have fun. Never prepare a new dish for the first time. Always test your "new" recipes before the big day. Don't forget a Thanksgiving Prayer. Just to stay calm and enjoy the day. My favorite calm music in the background, set the timer once an hour to walk outside & get a breath of fresh air. Surround yourself with those you love. Bless the U.S.A., the less fortunate and the troops we are so thankful to have serving us. Surround yourself with those you love. Bless the U.S.A., the less fortunate and the troops and their families we are so thankful to be serving us. Don't sweat the small stuff!! Enjoy your time together and if the Turkey isn't done by noon, don't worry!! No one is going to starve!!! I have a master list I refer to every year, both for Thanksgiving and Christmas it helps me stay organized!I also try to make as many dished ahead of time so that Thanksgiving Day can be relaxing and fun! I love to use my crockpot to make my mashed potatoes. It frees up my cooktop and keeps them warm as well! I believe that the Golden Rule should be don't stress, it is a day of Thanksgiving and we need to remember those who do not have whatever we have....we need to remember those affected by "Sandy". I bake my turkey in a cooking bag. A lot less clean up that way. Just toss it in the garbage. I also have my family members bring a dish or something that their kids will be sure and eat. 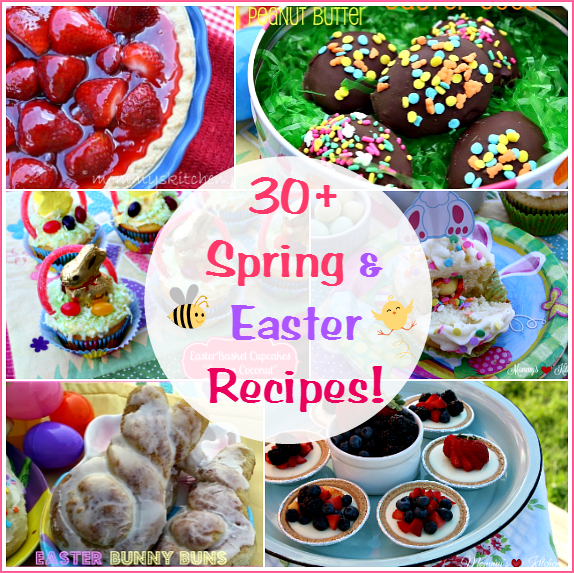 I stick to tried and true recipes, and make sure that I include everyone's favorites. If anyone offers to bring something, I let them. For a stress free Thanksgiving I always use the Reynolds Turkey bag to cook the turkey. Then my daughter helps me with the rest of the meal. I have a Wonderful Daughter! She helps me have a stress free Thanksgiving! What makes a picture perfect Thanksgiving for me is having the whole family together. Of course I love the food, too! Thanks. I always make all the desserts the day before!! Just show up with smiles and hugs for everyone!! Happy Thanksgiving, Everyone!! Remember to breathe! Thanksgiving is about family, friends and food. So what if everything is not perfect - enjoy the day. Just remember why we celebrate Thanksgiving. Be thankful for all our bountiful blessings. My stress reducing thanksgiving tip is to let the kids help. My kids like to set the table (mine range ages 3-14), & help with food prep. Also letting them help (even though it won't be "picture perfect") makes the day more special for them too. make as much as you can in advance- it lets YOU get to enjoy the day with a whole lot less stress! I normally do all the cooking but my golden rule is to not stress out... We spend the day as a family doing silly things and by the end of the day I have made an awesome turkey. We work as a family to make the dinner and laugh the whole time. My rule for having a stree free Thanksgiving is to make sure someone else will host. HA! My Golden rule for Thankgiving is to always roast the turkey breast side down. It comes out moist and juicy every time. I just try to plan everything ahead. And I always expect things to happen, and just go with it.